Give the gift of a local craft beer experience! A guided craft beer experience. What does a backstage pass include? Want to make your tour exclusive to your group? Private tours can be arranged 7 days a week by request! Which breweries can you choose from? Visit our PRIVATE GUIDED TOURS page for more information! Guided brewery tours is our passion but if you are simply looking for a fun bus and a safe and professional driver we can definitely hook you up! Whether is a birthday party, company outing, or sporting event, we can provide you with fun and affordable transportation for your group! What does our Party Bus include? 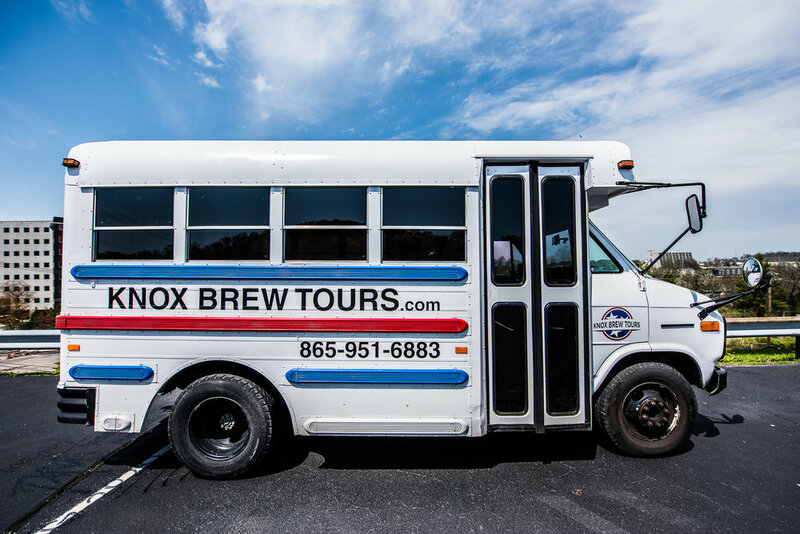 For more information about private transportation email us at contact@knoxbrewtours.com or call us at 865-951-6883!